With the Alpha® Silicone Liner and the retrofit options within the Alpha family, WillowWood is able to meet any liner needs you may have. 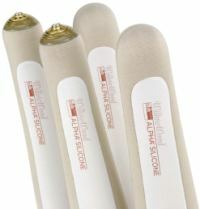 Alpha Silicone Liners use proprietary platinum-cured, medical-grade silicone designed for comfort and performance. A custom blend of silicone with Vitamin E and skin conditioners for a non-greasy and non-tacky surface. One-way stretch Select fabric controls pistoning without using a distal matrix. 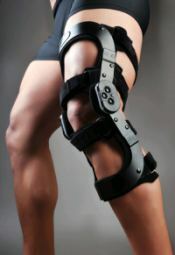 A flexible knee panel provides enhanced knee flexion. A flared shape that contours to a limb's surface. The FullStride™ Shadow from Becker Oregon is a lightweight KAFO that combines structural strength and cosmetic appeal with the FullStride mechanical stance-control orthotic knee joint.The inherent rigidity of the FullStride Shadow ensures that optimal joint alignment and function are maintained throughout the gait cycle. Constructed of lightweight and rigid compositematerials, the FullStride Shadow's sleek and open design offers patients an unparalleled blend ofform and function. 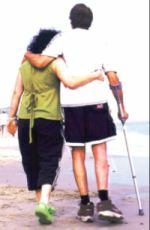 Gery®, another patented product from PROTEOR, is specially designed for K1-K2 patients with limited indoor walking requirements and low-level activity. The innovative rigid core and Keasy®-like foam provide an easy gait, which reduces pressure forces to the socket and thus reduces pain to the residual limb. Less physically capable wearers are able to take symmetrically longer steps. OPIE is the first O&P software with an app written specifically to function for the new Kindle Fire. To celebrate our progress, OPIE has a limited-time offer for new OPIE customers through April 30. FREE OPIE Mobile Appfor Android tablets. $500 discount on initiallicense fees. Schedule an online demonstration orvisit our website to learn more about OPIE Mobile. At the hospital, clinic, home, or office—evaluate your foot drop patients on the spot for a WalkOn® AFO, with either the 28T1N WalkOn Fit Kit or the 28T2 WalkOn Flex Fit Kit. 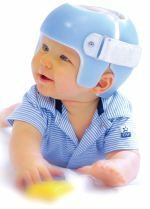 The STAR™ family of cranial remolding orthoses has been usedto treat positional plagiocephaly, brachycephaly, scaphocephaly, and other head-shape deformities in infants aged 3-18 months. Nearly 100,000 infants have been suc-cessfully treated with the STARband®. Orthomerica's cranial remolding orthoses can be fabricated from an unmodified cast or a scan of the infant's head using the STARscanner™. In less than two seconds, the STARscanner collects the baby's head shape data, which is then transmitted to Orthomerica for fabrication of the cus-tom cranial remolding orthosis. For more information, visit us at ACPOC. The Mt. 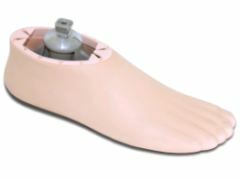 Emey® Medical Collection of shoes from Apis Footwear is designed for hard-to-fit feet or feet with larger orthotics needs. 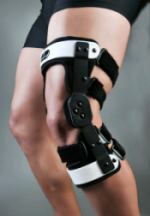 The Medical Collection offers a variety of closures for ease-of-fit adjustability. 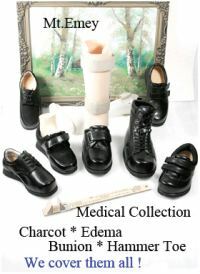 These shoes will accommodate mild or severe foot deformities related to conditions such as edema, Charcot, bunions, and rheumatoid arthritis, and are in stock for on-time delivery. Smooth, proportional response with integrated springtechnology (iST). More versatile and more affordable. 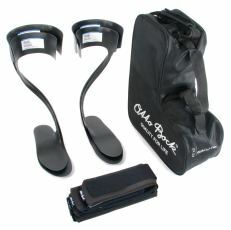 The Pace is great for treating foot drop; however, it is not just a foot drop stimulator. During gait, the Pace can help to offset weakness of the calf, quad, hamstring, or glut. 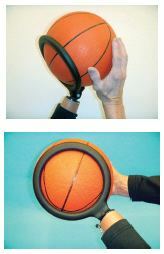 This versatility can help stroke patients as they progress or MS patients as their needs change. With preprogrammed stimulation patterns for each muscle group, set up is a cinch for all applications. The Pace also has an exercise mode as well as built-in recordkeeping to document usage. The Pace beats the competition in all areas. Becker Orthopedic Distributes SpineCor in the U.S.
SpineCor® is a dynamic system that uses postural re-education to target four key progression factors of idiopathic scoliosis: neuromusculoskeletal dysfunction, growth asymmetry, postural disorganization, and spinal deformation. Movement: Treatment allows and encourages normal activities, sports, dancing, riding, etc. Cosmesis: Easily worn underneath the patient's regular clothing for optimal cosmesis. 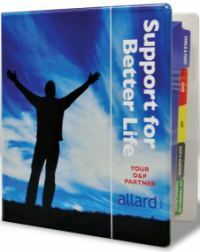 Success: 89% effective; clinically proven in a 400-patient, ten-year study. Suggested L-Code: L-1005; U.S. Patent No. 5,599,286. 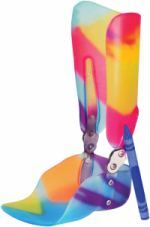 The Fillauer MiniShock is a smaller, lighter version of the DuraShock, with the same functionality and durability forchildren and lightweight adults. The smoothmotion of the MiniShock is due to the dynamic elastomer, which requires no lubrication or bumper changes and results in increased comfort for higher-activity amputees. Fillauer's compact design requires minimal clearance due to the 2.38-in. (6cm) build height and carries a weight rating of 132 lb. Up to 60° axial rotation (30° in eachdirection). 1cm (3/8 in.) of vertical shock. Intermediate pyramid size, proximalor distal. 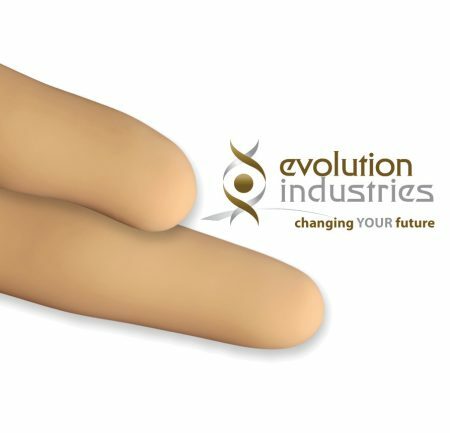 PEL Supply offers the smallest ankle jointavailable with 40° plantar and dorsal adjustment. 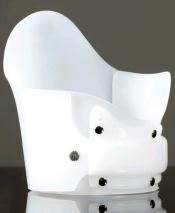 The KID-Dee-Lite™ from Allard USA enables dynamic treatment of a child's foot. The ankle joint is small and light enough to fit AFOs for children younger than five or under 55 lb. (25kg). The KID-Dee-Lite allows early dynamic ankle/foot management for neuromuscular disorders such as cerebral palsy or spina bifida. The PEL kit includes an alignment tube, curved (blank) and straight uprights, assembled joints, and mounting components. Grace Prosthetic Fabrication's 1210-D Domed Sealed Plate allows the prosthetist to utilize a single plastic pull or single lamination while maintaining a sealed distal end when a 4-hole pattern is desired. The "domed" distal shape of the plate works well with most non-lockingsilicone liners. 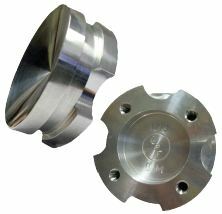 Our 1210-D Domed Sealed Plate is best used when a suction socket or Elevated Vacuum Socket is needed, utilizing a 4-hole pattern design. The TESTSOCKET2 is a new concept in socket-by-measurement systems that allows for a physical fitting, pretest socket! Fit the TESTSOCKET2 adjustable brim, take your measurements, and order a socket—it's that easy. The brim applies tension to the limb and anchors your measurements for a great fit. The plastic of the brim helps to manage the soft tissue while providing a simple template from which to align with the anatomy while the tape measure provides a locked, fixed reference point that is not hindered by modesty, clothing, or tissue.